Two actors play a wide variety of colorful characters in four different educational sketches. The scenes combine high energy sketch comedy with improvisation to teach students about financial literacy through a fun experience. At the beginning of each scene an actor will interact with the audience and get some information that will be used during the sketch, such as their favorite band or something they have always dreamed of having. This information will be interjected into the sketch and may even be the point of the scene or the basis of a character. Tom, an unsuspecting car buyer, meets Jake, a smooth-talking car-salesman, who’s selling a car with a truly weird set of options (taken from audience suggestions). In the course of buying the car, Tom learns the basics of how credit works. The nerdy winner of a game show has to decide how best to invest his winnings. With the help of the audience, he learns that time grows money. 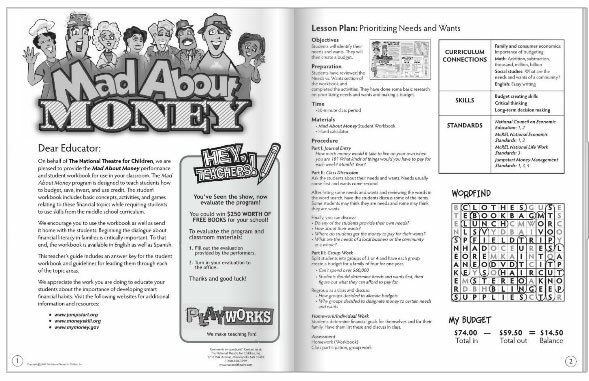 Finally, the actors enact a day in the life of one of the students from the audience, incorporating their favorite musician and best friend, while teaching the importance of developing a savings habit. 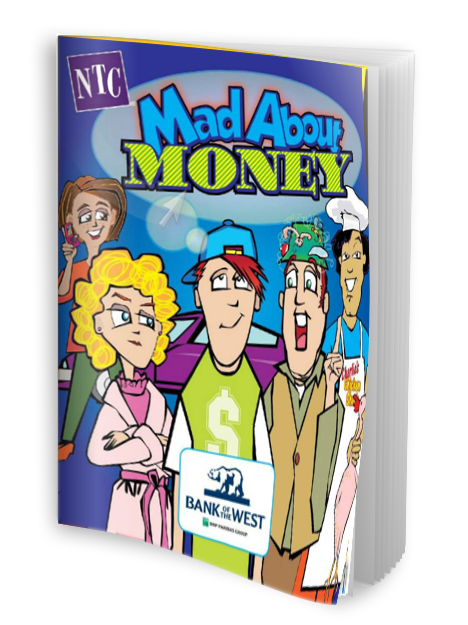 Mad About Money aligns with Jump$tart National Standards in K-12 Personal Finance Education & Common Core English Language Arts Standards.